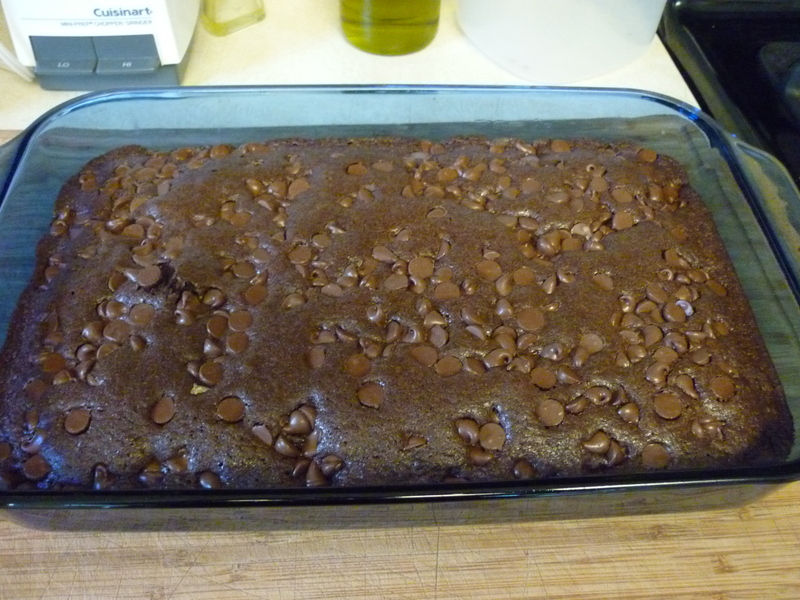 I have made these brownies since the recipe first appeared in Taste of Home many years ago. Brownies are a fallen soufflé, so when you see a brownie recipe using a lot of eggs you know it’s correct. 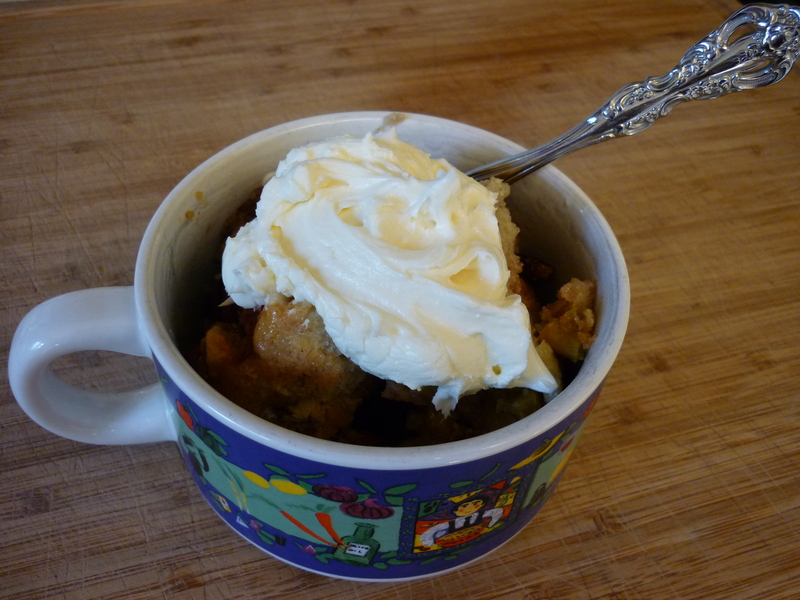 The reason I like this recipe is that it’s “speedy” and it’s easy! Beat until smooth. 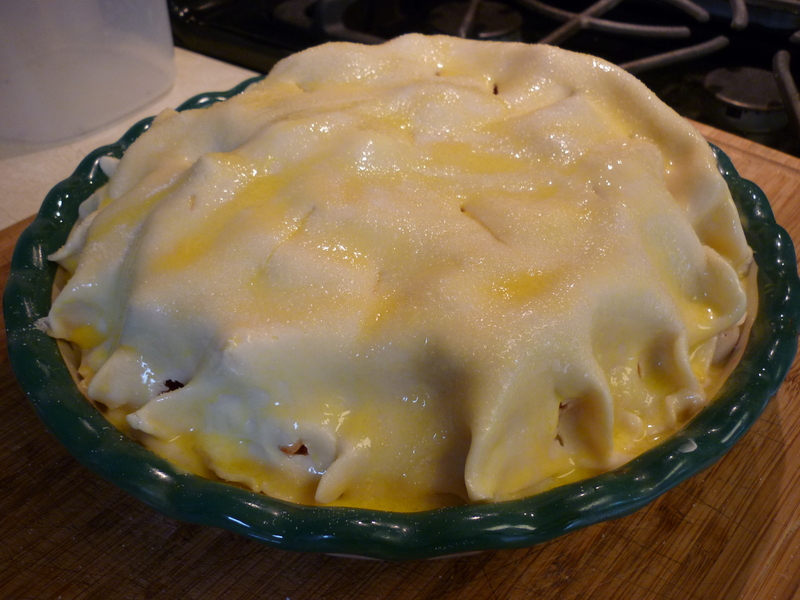 Pour into greased 9×13” baking dish. 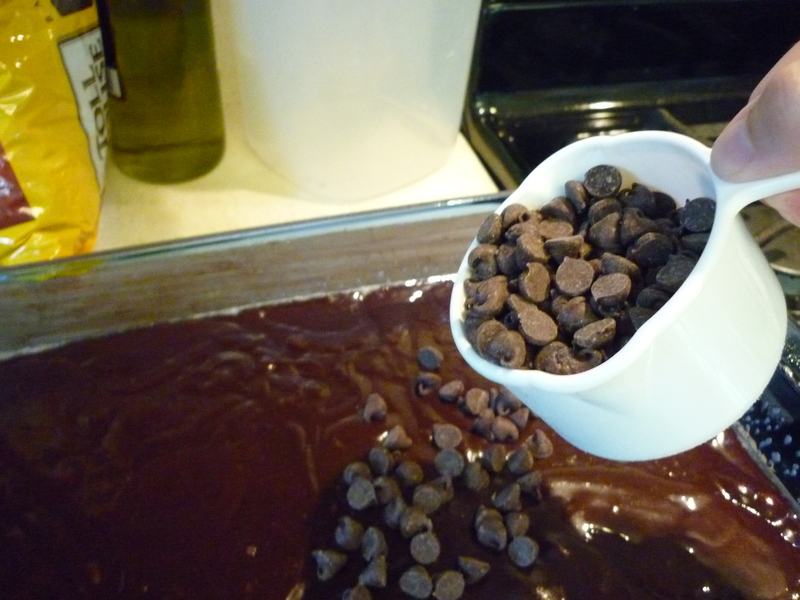 Sprinkle with 1 cup chocolate chips. 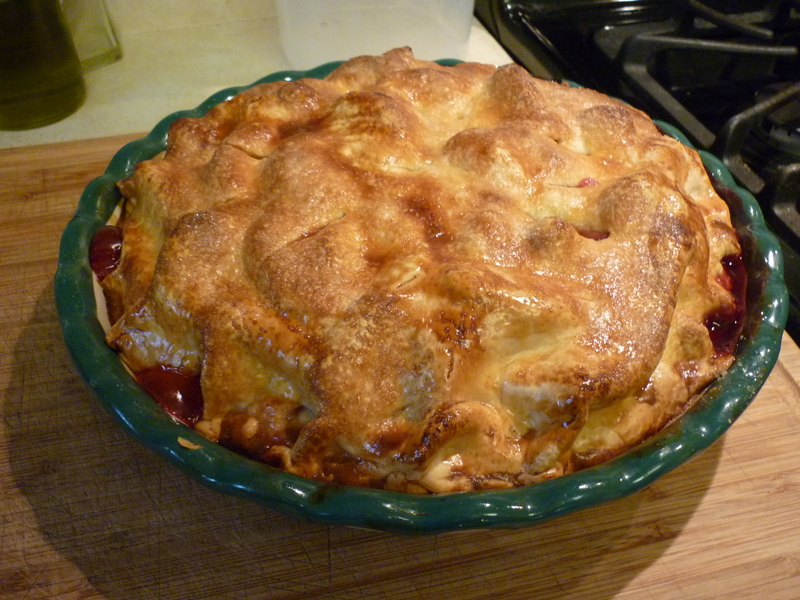 Bake at 350 degrees F for 30 minutes. Let cool and serve. 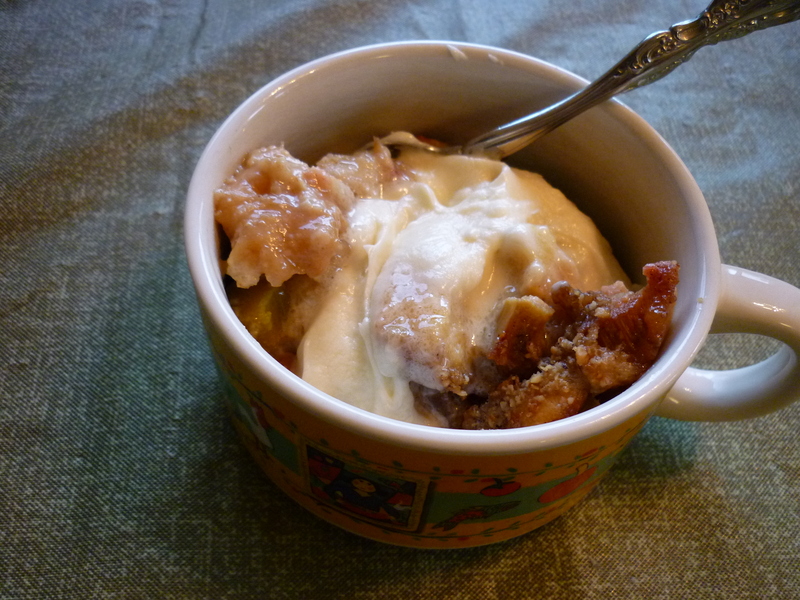 Tastes great served warm with vanilla ice cream. I have also sprinkled the top with butterscotch chips, milk chocolate chips, and white chips. 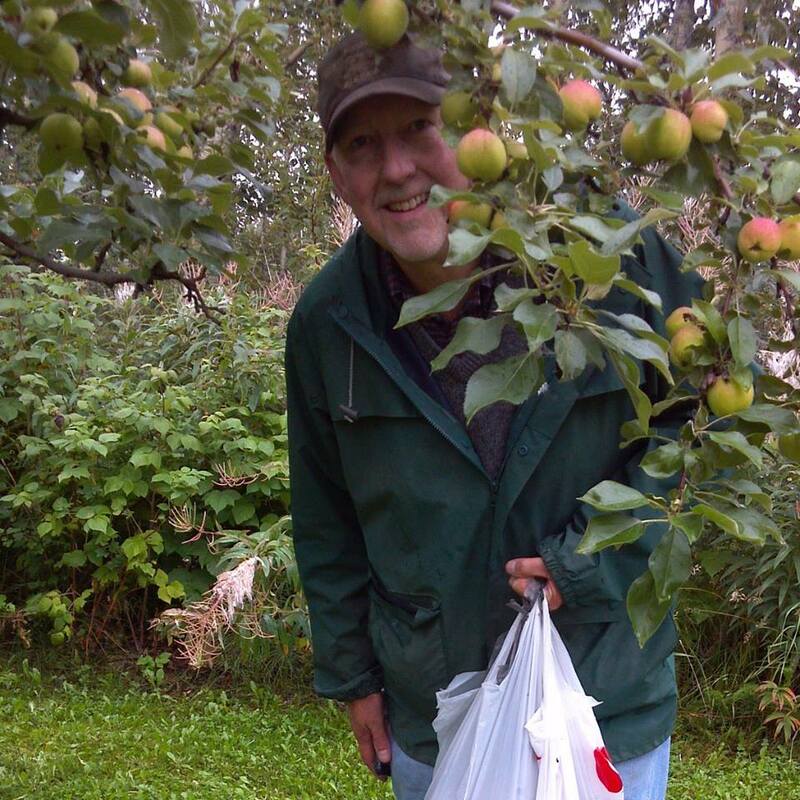 All are delicious! 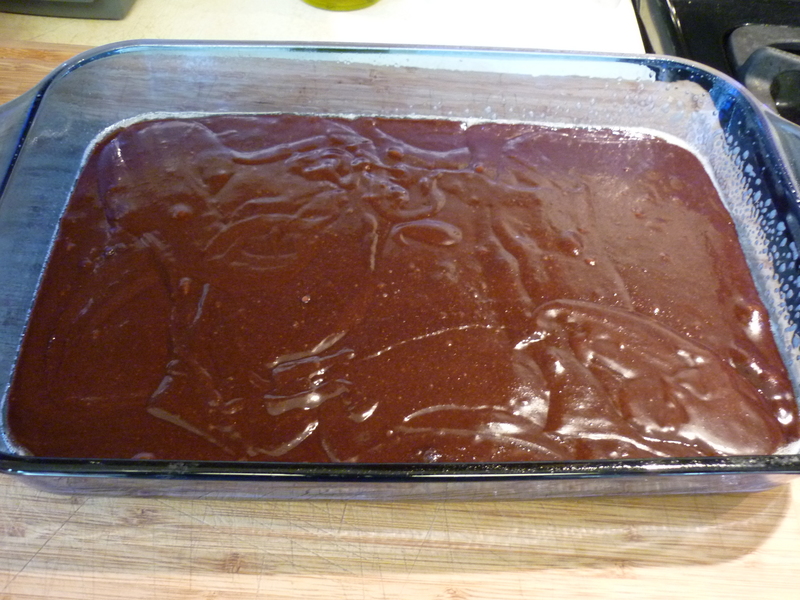 Pour batter into greased 9×13″ baking dish. 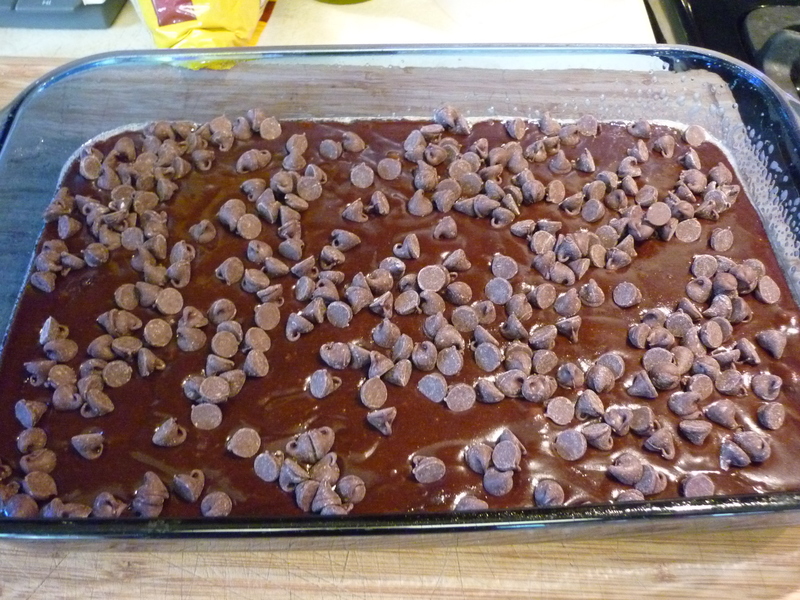 Sprinkle with one cup chocolate chips (or any kind of chips). 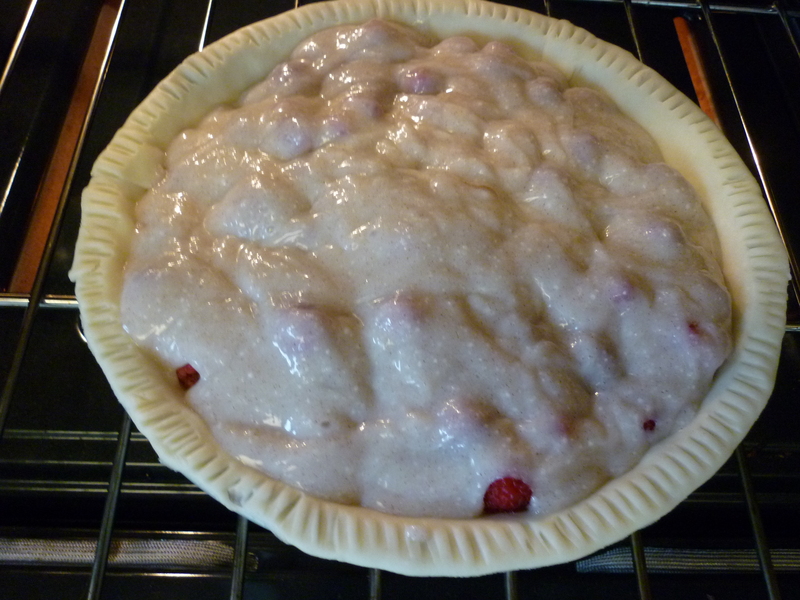 Bake at 350 degrees F for 30 minutes. No need for frosting. 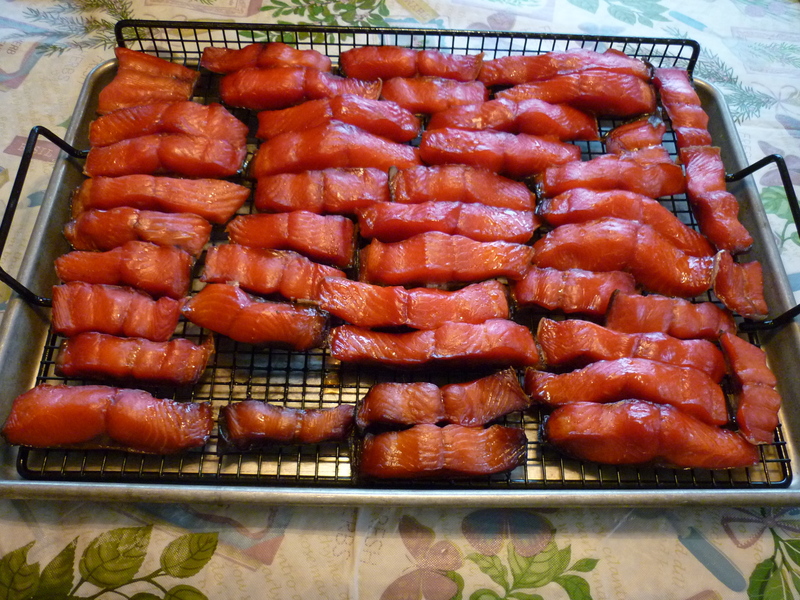 This smoked salmon method is really what most people know as kippered salmon. 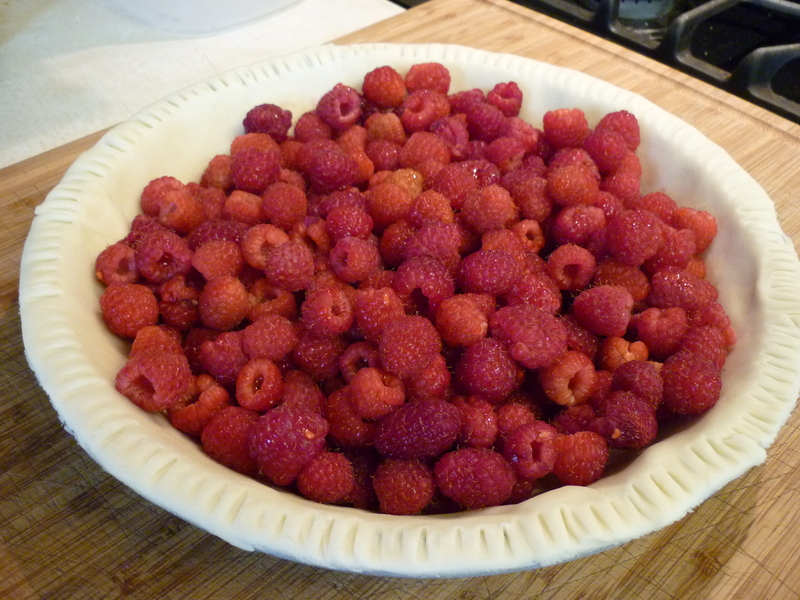 There is no liquid added, it is a dry brine, very sweet. 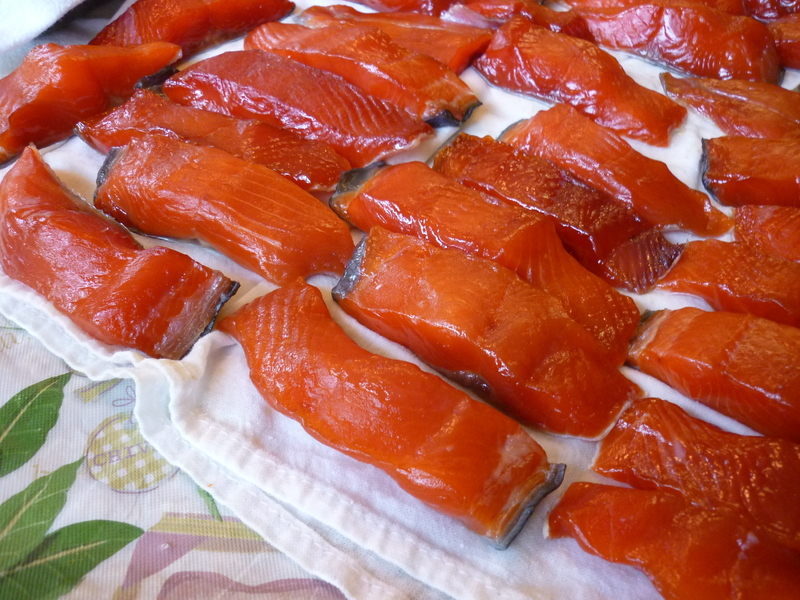 Work with salmon fillets. 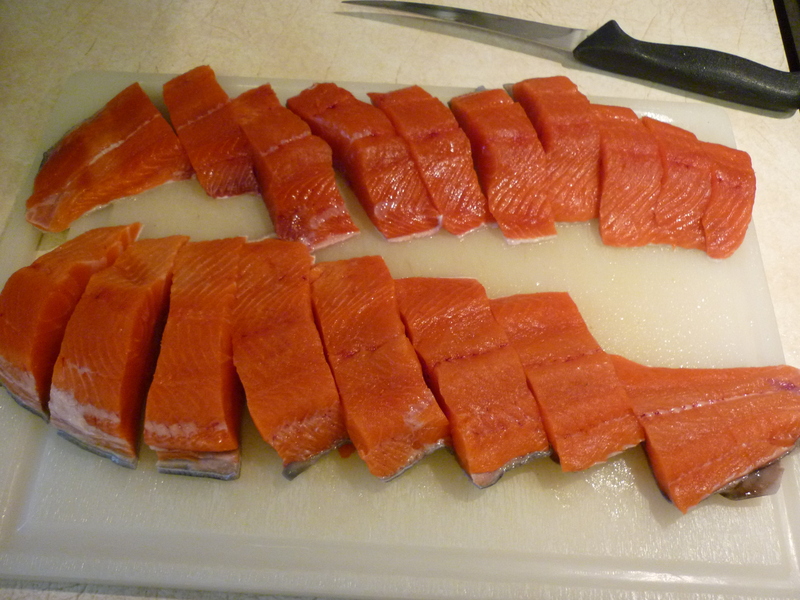 Cut the fillets across into strips about 1” wide. 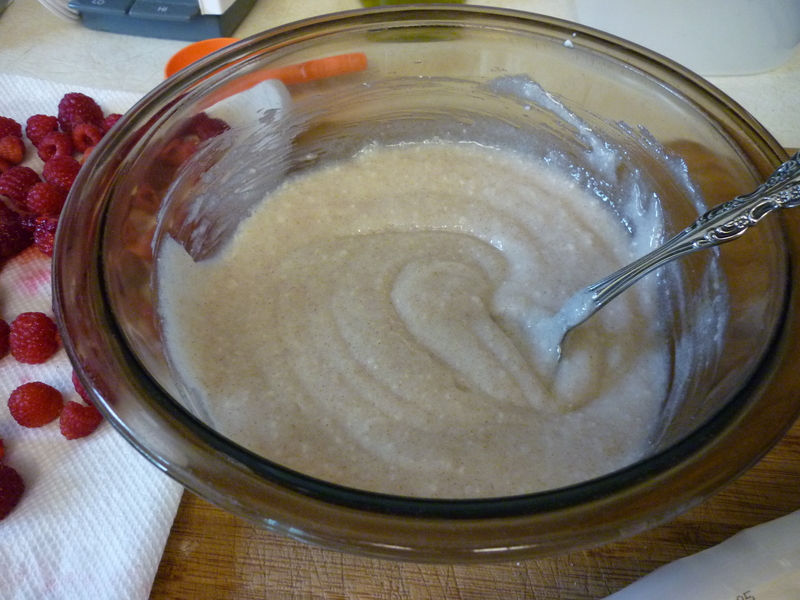 In a large bowl, mix together 6 cups brown sugar and 1 cup salt. 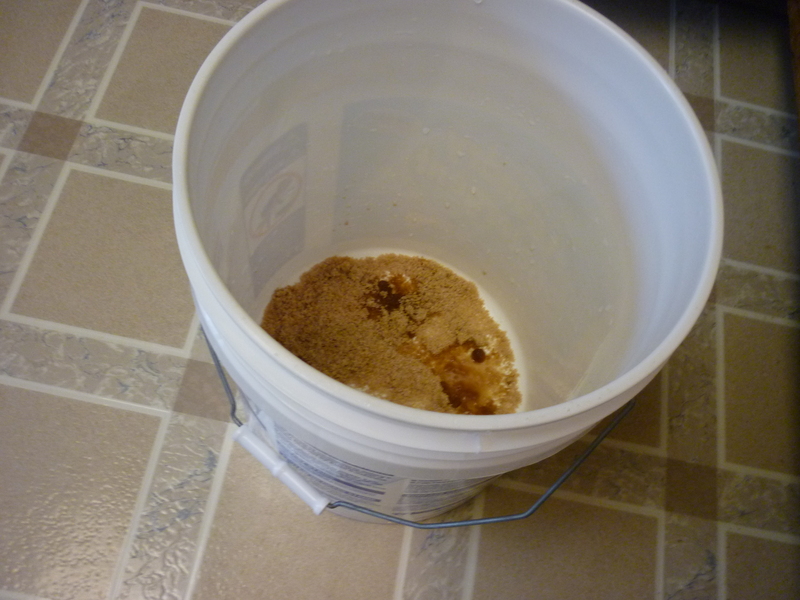 You can adjust the total amounts as long as you remember it’s 5 or 6 parts of brown sugar to 1 part salt. I use canning and pickling salt. 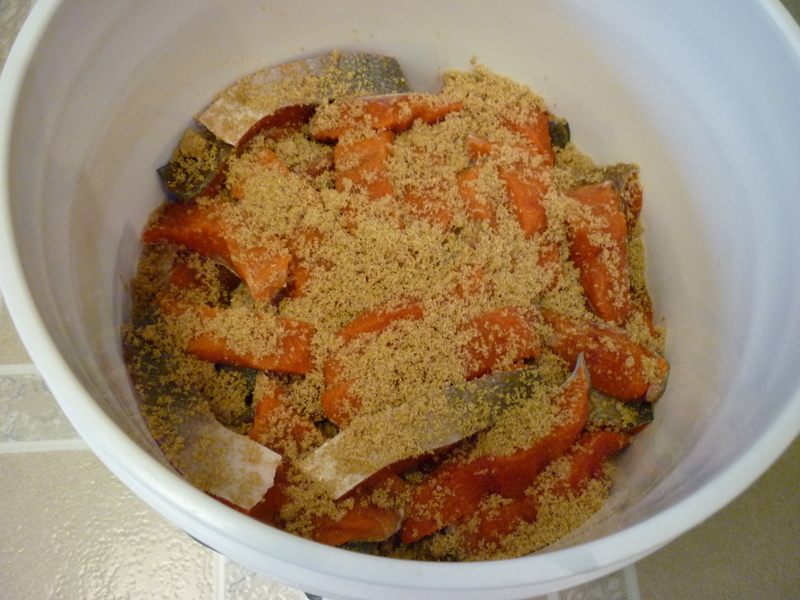 In a bucket or other container, layer sugar-salt mix with salmon. 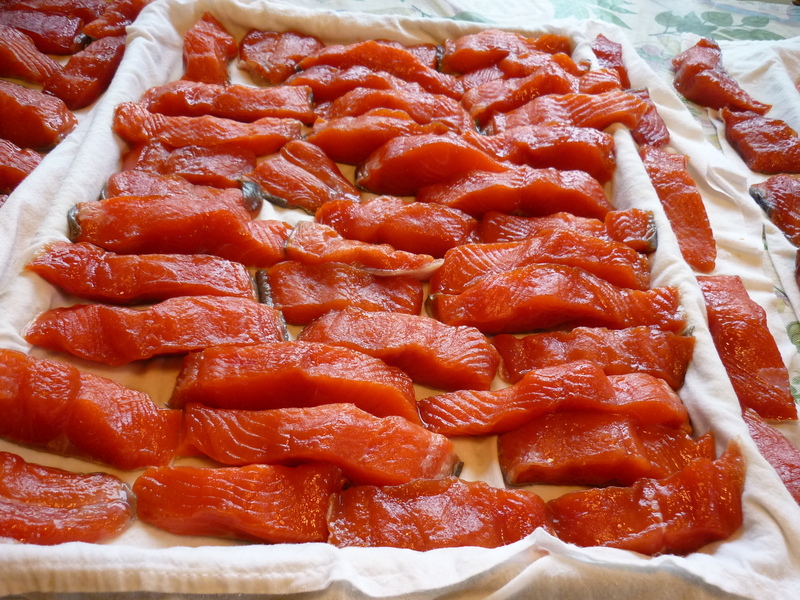 One layer at a time until all your fish is used up. 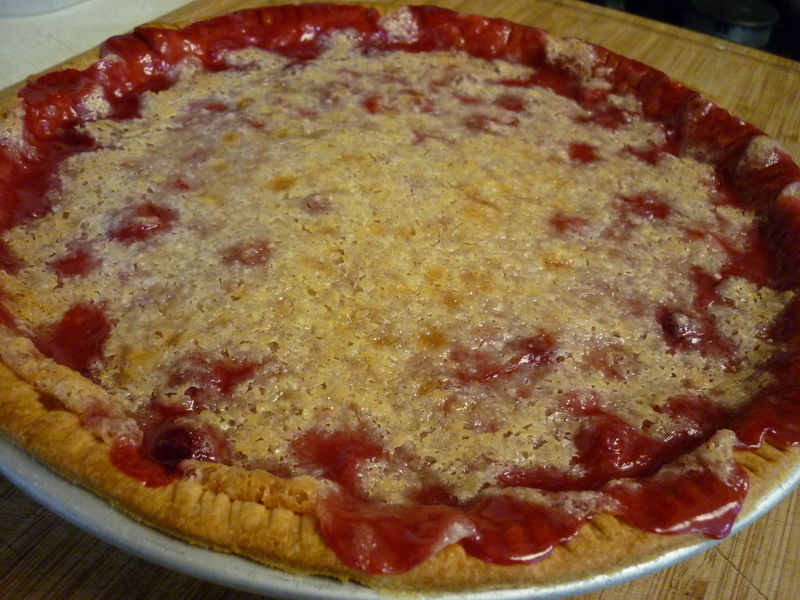 Make sure sugar-salt is the top layer. 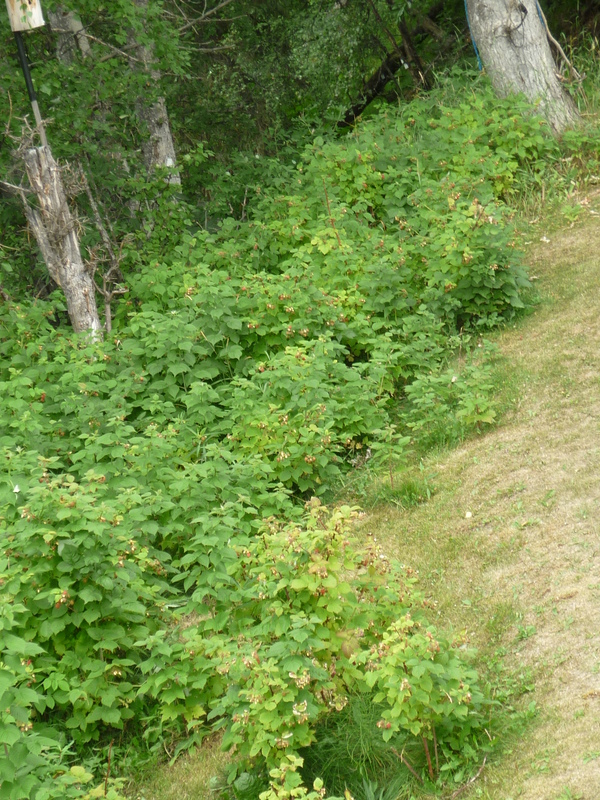 Loosely cover and place in a cool spot for 24 hours or so. I put the bucket on the floor of my basement. The salt draws out the moisture in the fish so that when you remove the lid the next day, the fish is submerged in liquid. Take the bucket to your work area (my kitchen table). 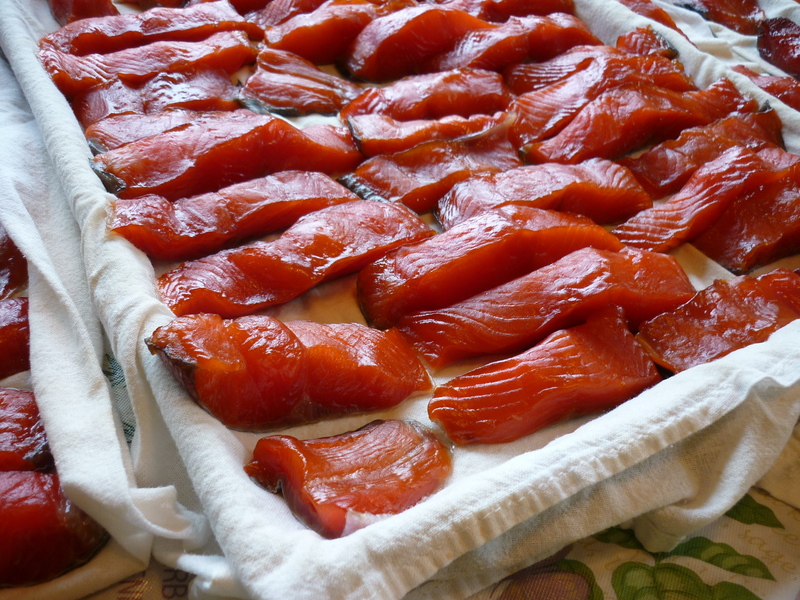 Draw a bowl of cool water and dip each piece of salmon into it, then place onto baking sheets covered with absorbent towels. 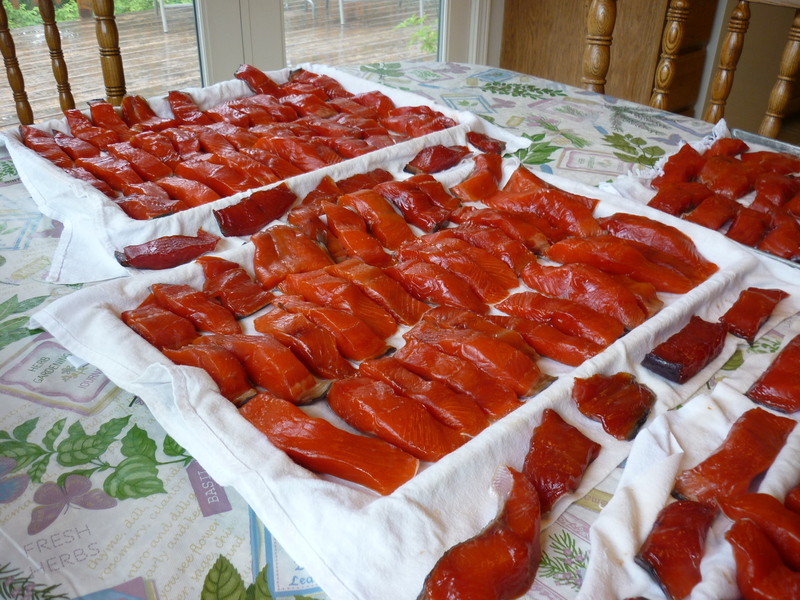 Once all the fish is laid out, pat the tops dry with absorbent cloths. Let the fish sit, under a fan is best, for several hours while a skin develops. Beads of moisture should emerge from the fish, but don’t worry about it if it doesn’t. 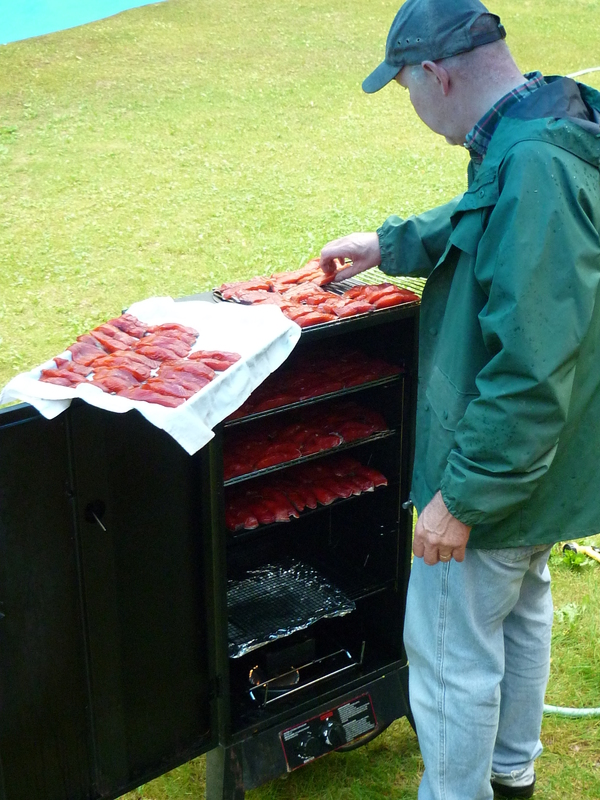 Put the fish onto racks in your smoker and smoke as manufacturer suggests. We like mesquite chips. This part takes us about 3 hours or so. 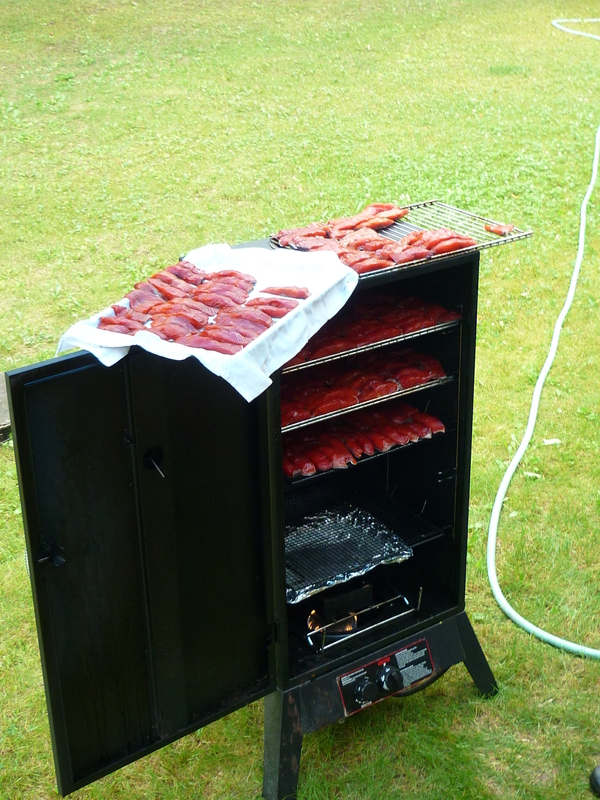 Our smoker runs hot and it’s easy to burn it, so keep a close eye. The finished product. 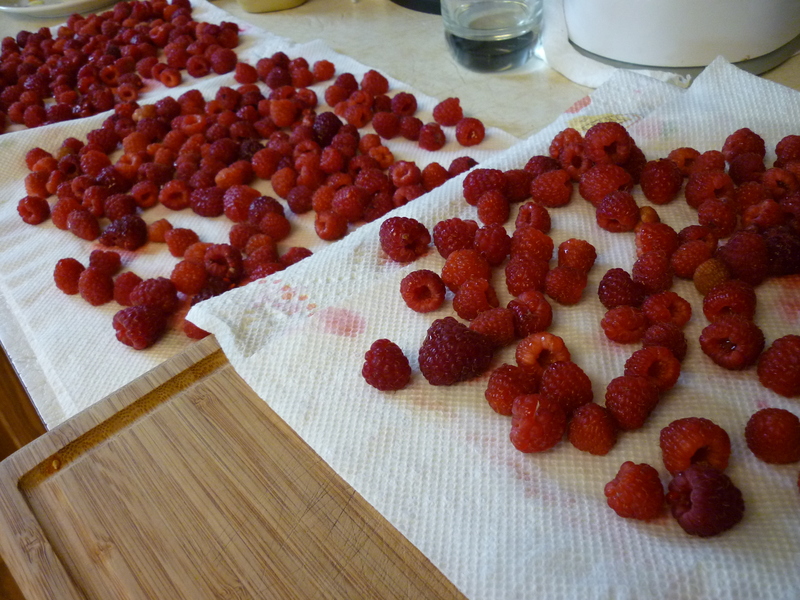 Now we will vacuum seal some and can some. 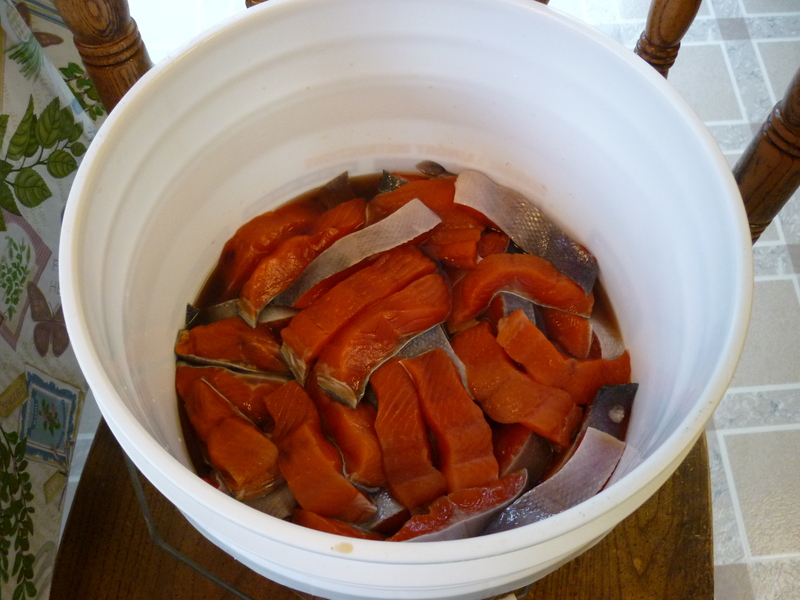 We did about 15 sockeye salmon in this batch. There were a lot of small ones. 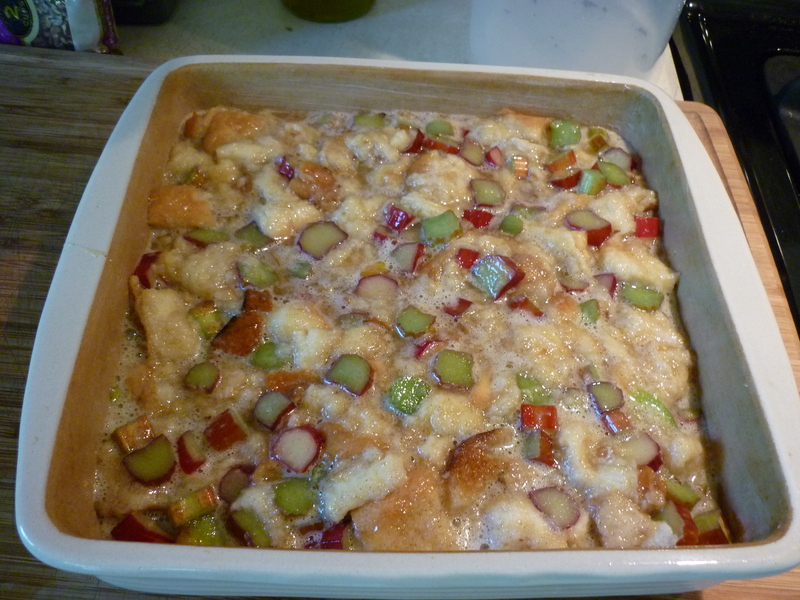 This is a must-have for Rhubarb Bread Pudding. Beat butter until fluffy. 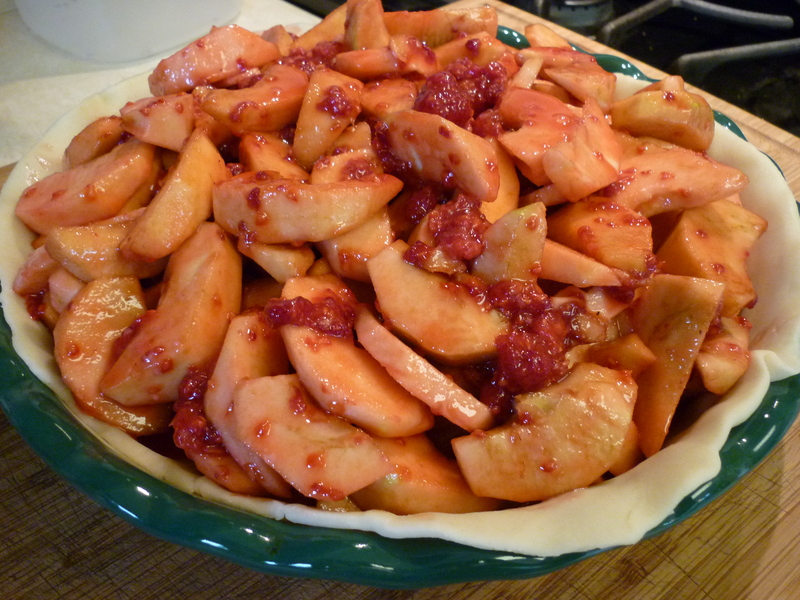 Add powdered sugar gradually until incorporated, scraping sides of mixing bowl. 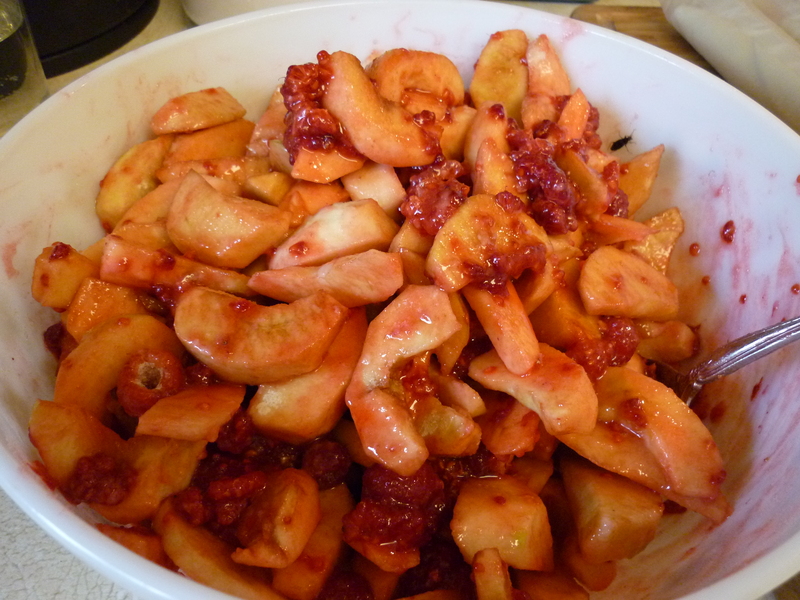 Add Grand Marnier and beat again, making sure all is incorporated. Spoon into serving dish. 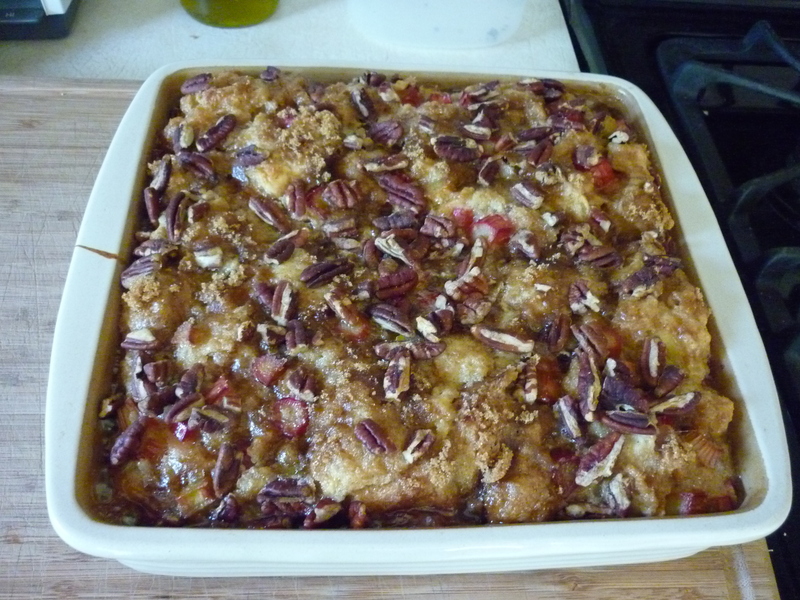 Serve by placing dollaps onto servings of warm bread pudding. 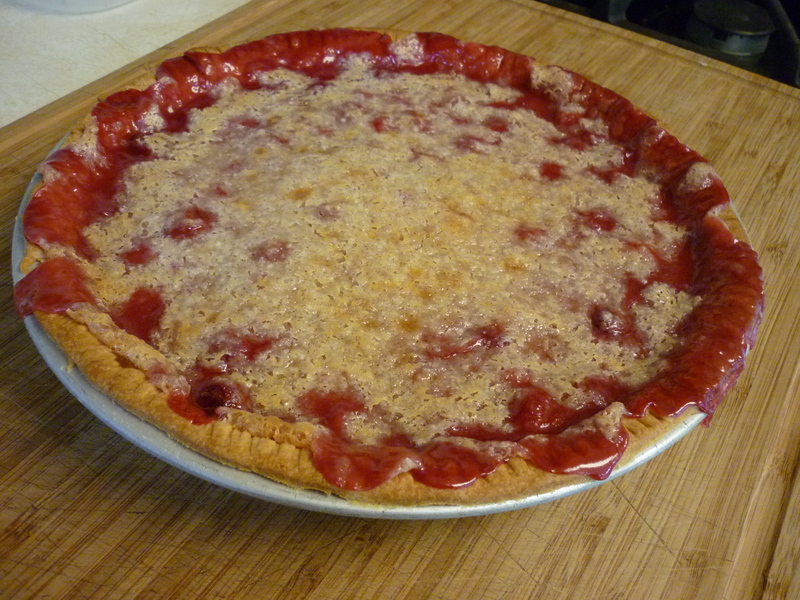 This recipe is based upon one found at Food.com by Kaarin. It is so rich and delicious. Melt butter into milk and pour over bread. Let sit 15 minutes. 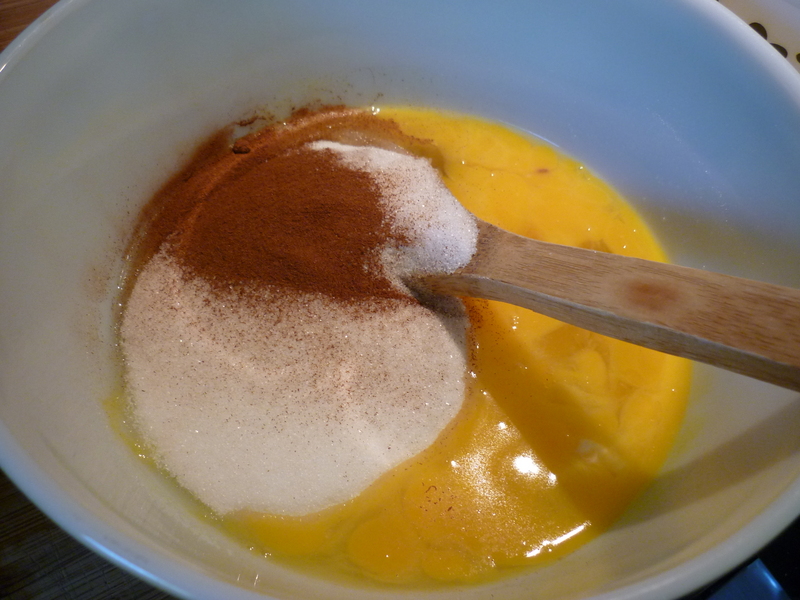 Mix together eggs, sugar, salt, and cinnamon. 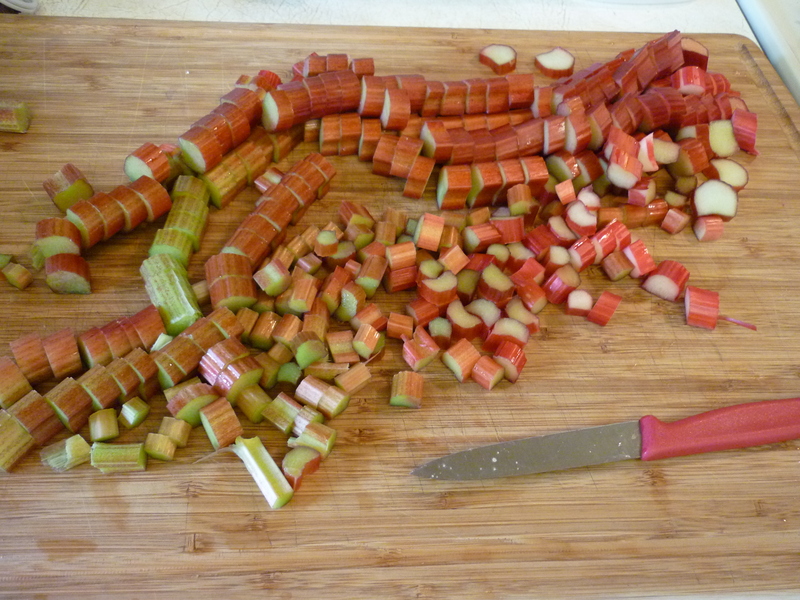 Run outside, pull rhubarb, clean, and trim. 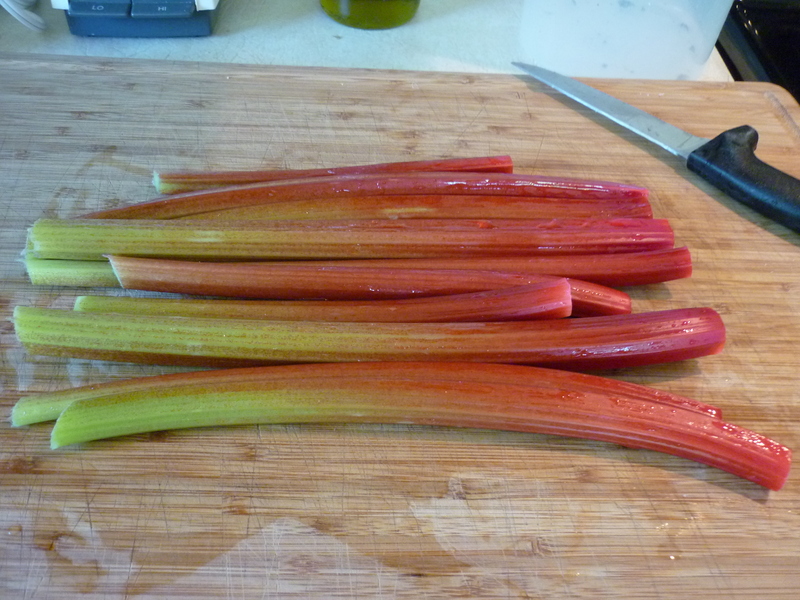 Mix rhubarb with eggs mixture. 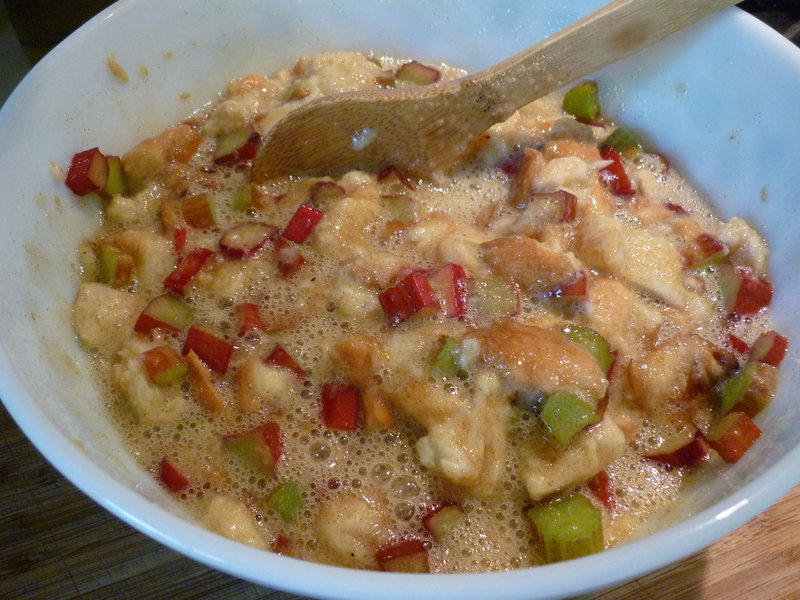 Mix rhubarb and eggs mixture with soaked bread mixture. 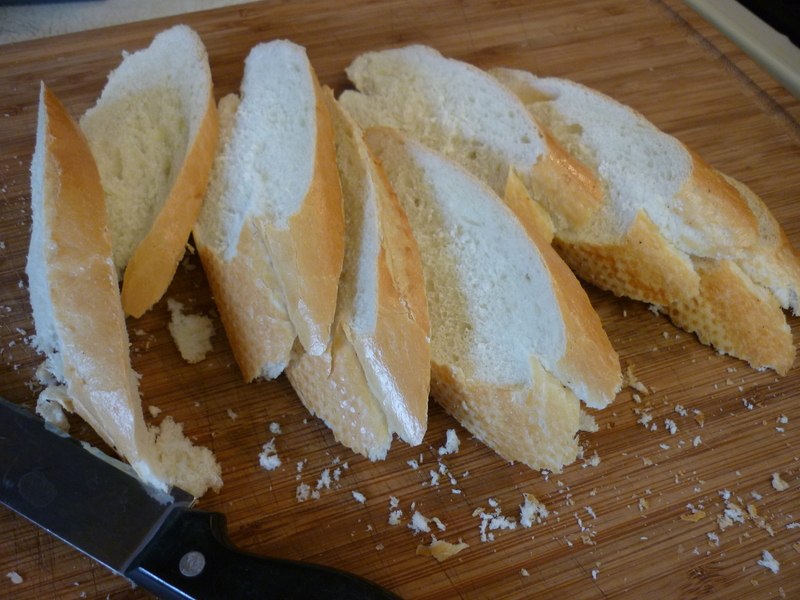 Put bread cubes into a large bowl. 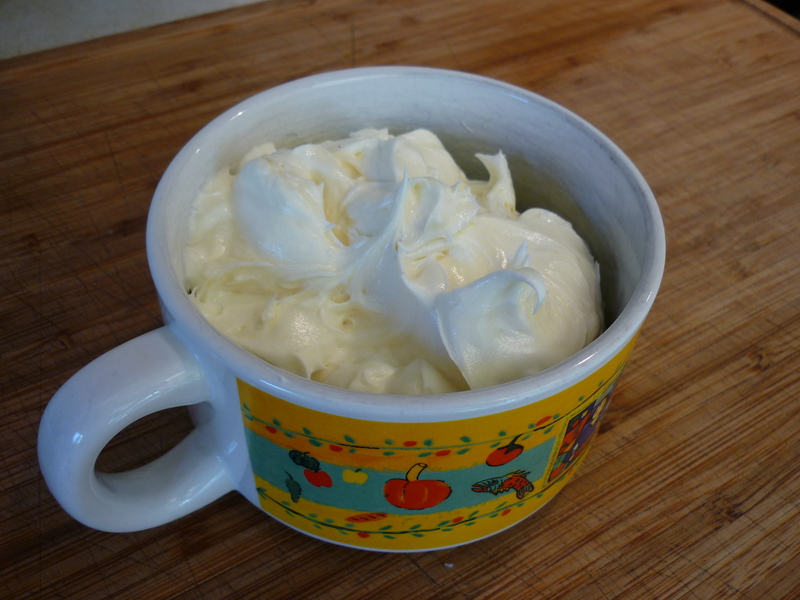 Heat butter and milk together until butter is melted. 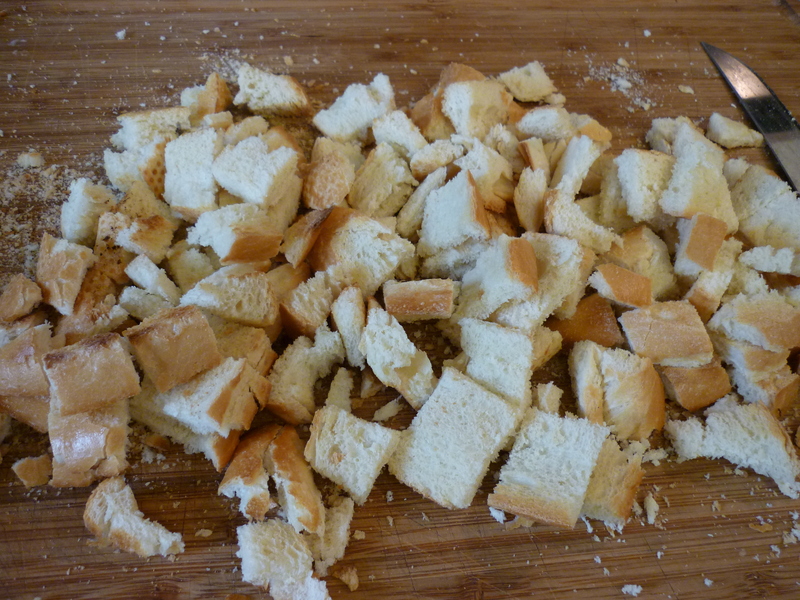 Pour over bread cubes and let sit for 15 minutes. Meanwhile, mix together eggs, sugar, salt, and cinnamon. 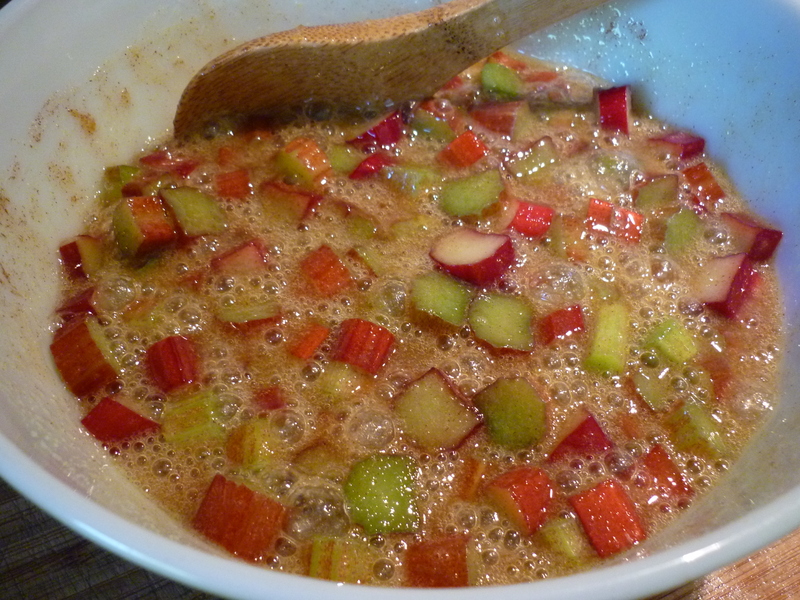 Stir in rhubarb. 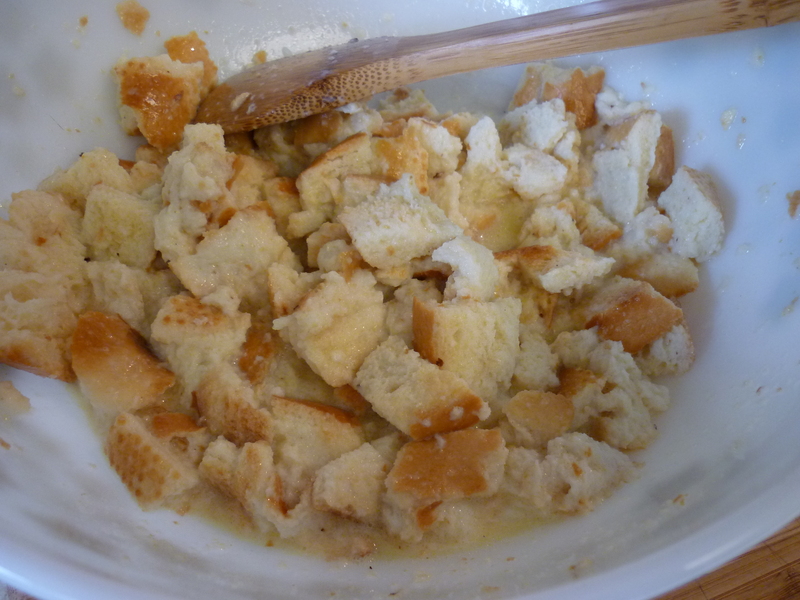 Stir eggs mixture into bread mixture and pour into buttered baking dish. 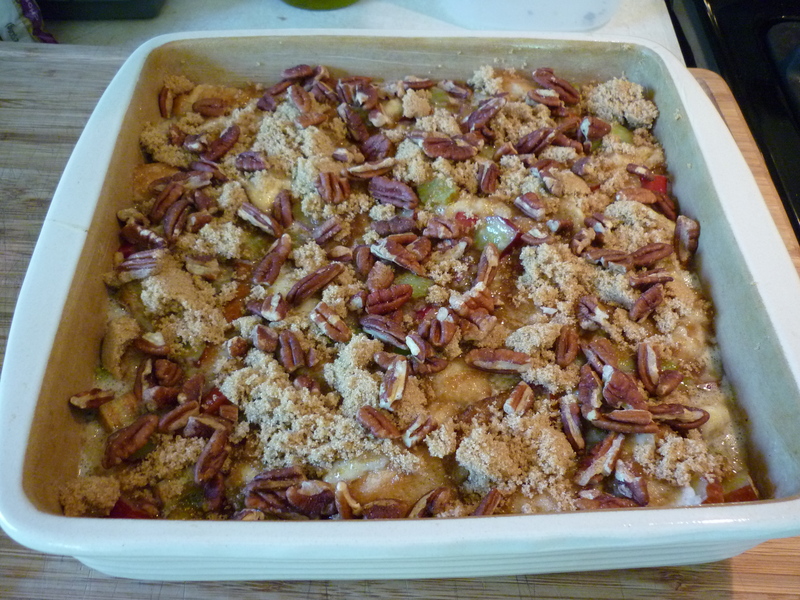 Sprinkle with brown sugar and pecans. Bake at 350 degrees F for 55 to 60 minutes until set. Beat butter until fluffy. 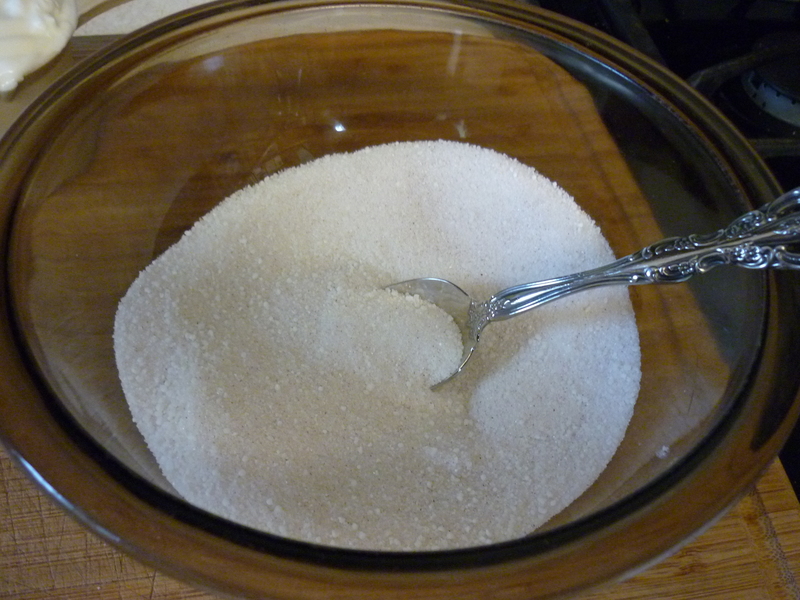 Add powdered sugar gradually until incorporated, scraping sides of mixing bowl. Add Grand Marnier and beat again, making sure all is incorporated. Spoon into serving dish. 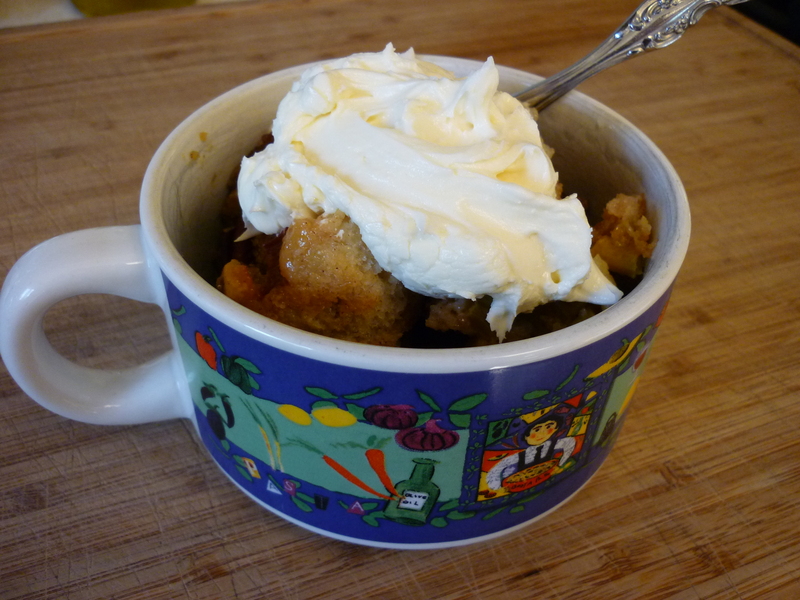 Dollap onto servings of warm bread pudding.